DEA Mercury Horizontal-arm CMM - CMM Inc. Designed to provide maximum flexibility and suitability to a variety of applications, the DEA Mercury horizontal-arm CMM line issuitable for companies with limited budgets, thanks to its outstanding price performance ratio. The DEA Mercury system is available in two versions: manual and automatic, as well as in single, double and multiple-arm CMM configurations. 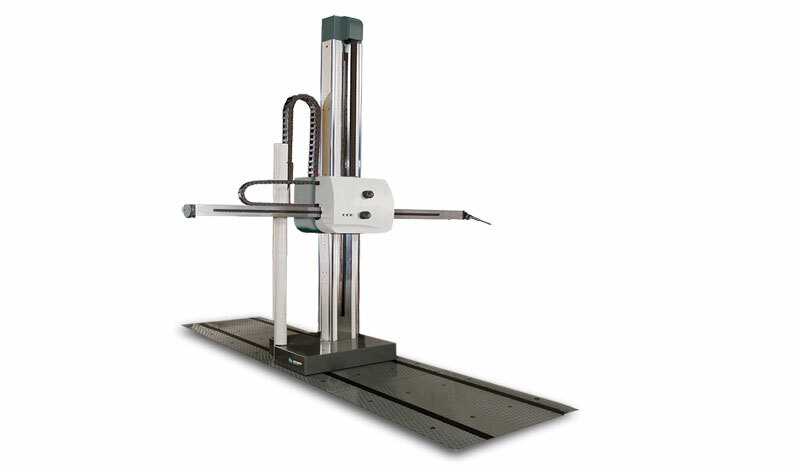 This variety of configuration enables the implementation of different multi-role or task-specific working areas - making this CMM the ideal solution for research and styling centers. Dea Mercury is available in three models: DEA Mercury R (Runway), Dea Mercury C (Console) and the Dea Mercury T (Top). All three models are based on a modular, cost effective concept. A wide range of probes and accessories arealso available, including basic scribing tool kits and the full comprehensive range of probing technology for touch-trigger measurement. Furthermore, non-contact sensors for fast digitizing and inspection are available as well.